I’m writing this on the train, waiting to depart Wick. 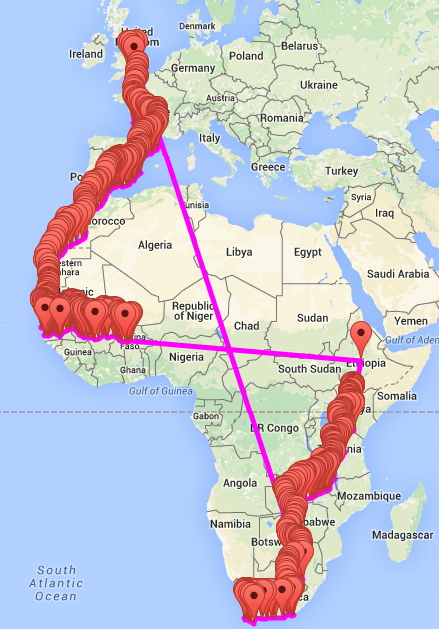 Another tired and aching start, this time a little later as the last days distance was only about 161 miles. We’d bought breakfast the day before at the local co-op. With a coffee, 2 doughnuts, a pain au chocolat and a croissant consumed, we were off for the last days ride. 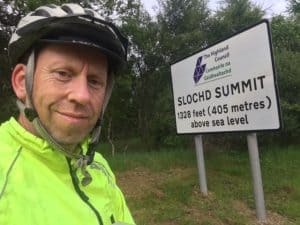 We rode out of Kingussie and didn’t get straight on the A9, but took a more scenic route over the busy trunk road to follow the B9152 for a few miles. With nicer scenery and rolling hills filled with cattle and sheep the first ten miles seemed to fly by. Soon enough and we were back on the A9 rising steadily into a headwind and the Slochd summit. Just as we started to descend to Inverness about 27 miles in, a sign indicated there were services in the side of the road. It being time for a second breakfast we pulled in to find a road side cafe van. Ordering up a coffee and breakfast roll with thick bacon and a lorne sausage in it, we chatted to the friendly owner. He explained that the flat square sausages came from a local butcher. They were absolutely delicious. The subject moved on to weather. Although the road side cafe was only 27 miles up the road, the owner explained that the previous day they hadn’t had any rain, whilst we’d had it lashing down on us all afternoon and evening. 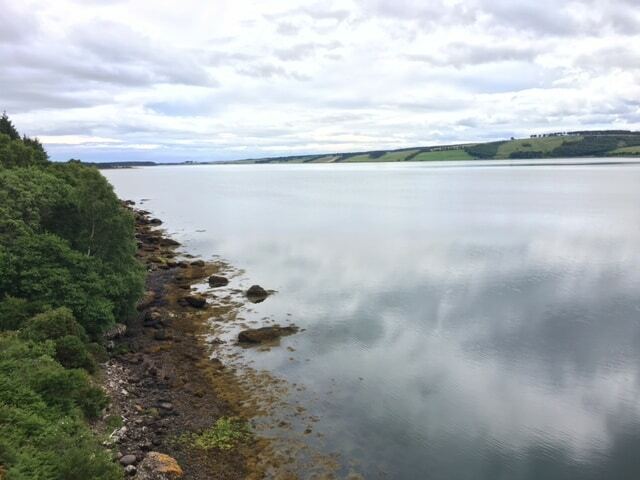 Inverness came and went, stopping briefly opposite Inverness and Caledonian Thistle’s football stadium to tighten Jays headset, we rode over the Kessock and Cromarty bridges and the scenery changed again, nice hills and vast volumes of water. 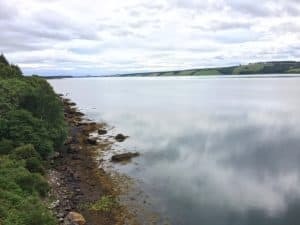 As we passed Loch Fleet, we finally got a tailwind and our speed rose from 14mph to over 20 as we entered the most scenic part of the journey, the east coast to John O’Groats. The rolling hills seemed to come and go quite easily with a tailwind until we got to Berriedale Braes, where there was a big long climb leading to it and a rapid almost alpine descent and 13% climb out the other side. We finally rolled into John O’Groats at about 20:20. Before we did the ride, a cycling buddy of mine John was very concerned about the route, especially the A30 in Cornwall. 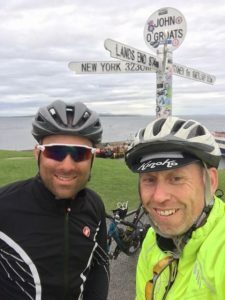 It wasn’t until Jay and I were sat in the Seaview hotel bar at the end of the ride enjoying a beer that Jay googled some stats about LEJOG. One of them was that 6 cyclists have been killed on end to end rides on the A30 since 2008. Had we read that before we may not have ridden on it. Luckily we got away with it, but probably won’t be repeating it!